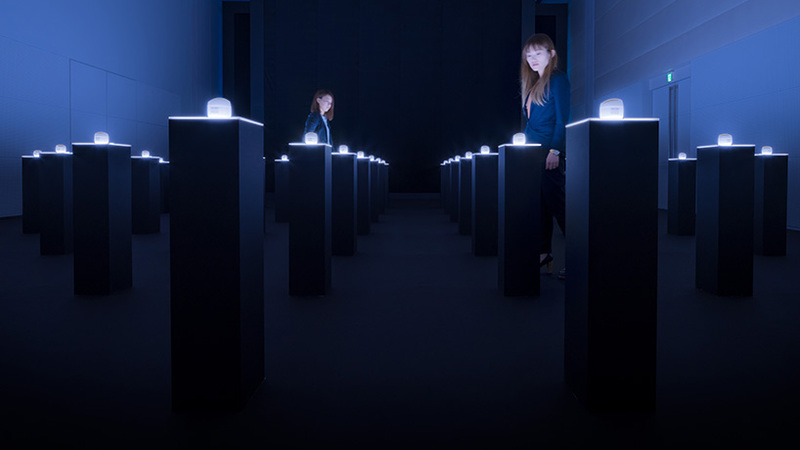 tokyo-based design studio, WOW inc., has designed a visual installation series for the shiseido ginza building in tokyo. 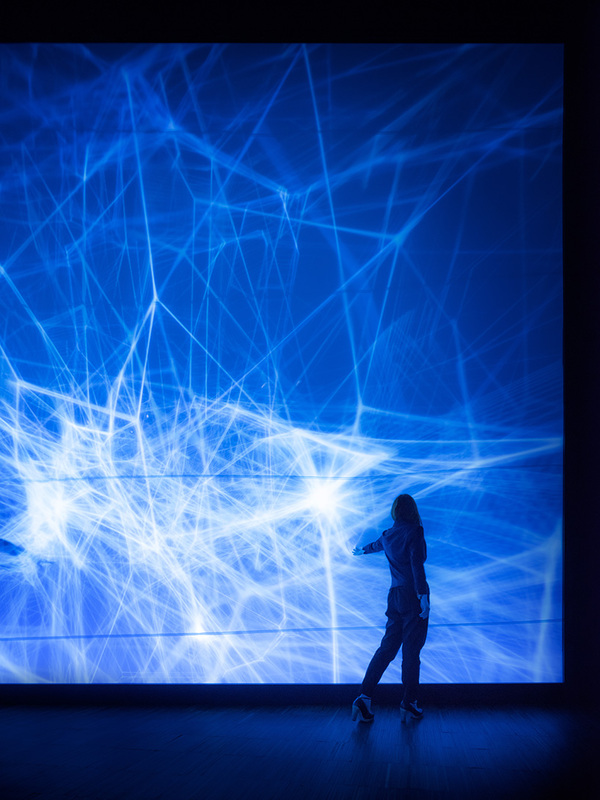 the series comprises three pieces based on the concept of neuroscience: ‘neuro surge’, ‘interactive wall’, and ‘product room’. 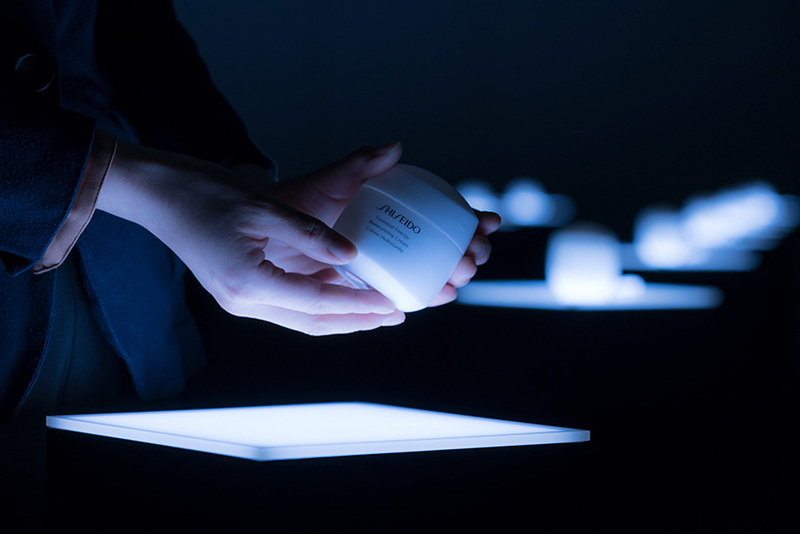 each installation is intended to create a dynamic interaction between the product and visitors made for a press conference of shiseido’s new product which starts selling next year. 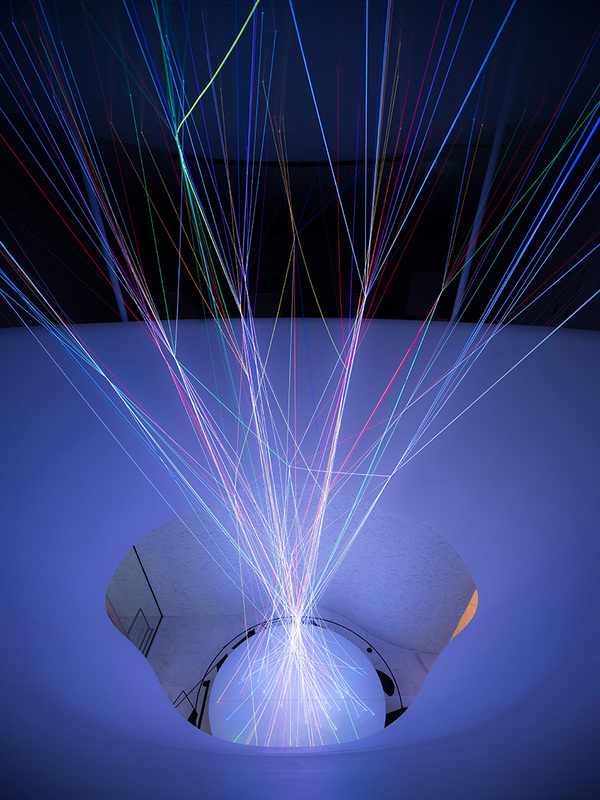 ‘neuro surge’ is the first installation and is located at the entrance of the shiseido ginza building. 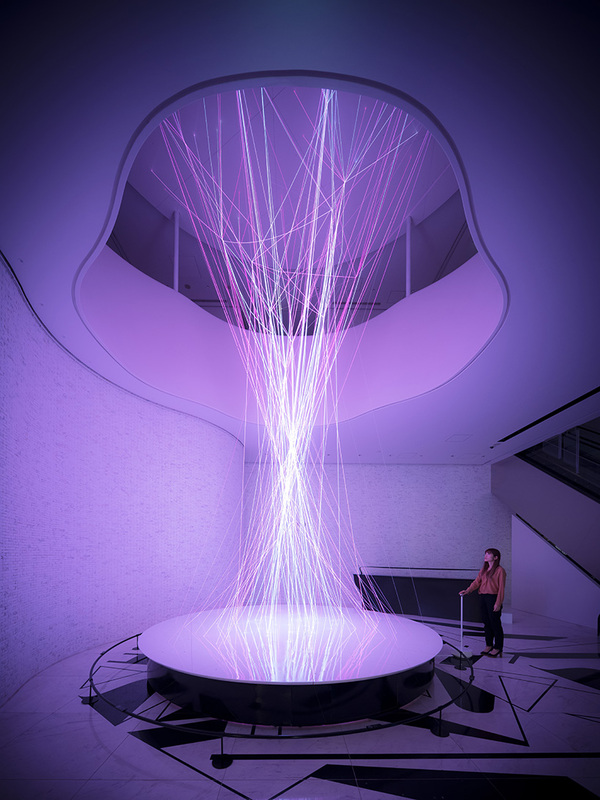 here, visitors can feel how their senses and nerves are working when exposed to daily information or stress. 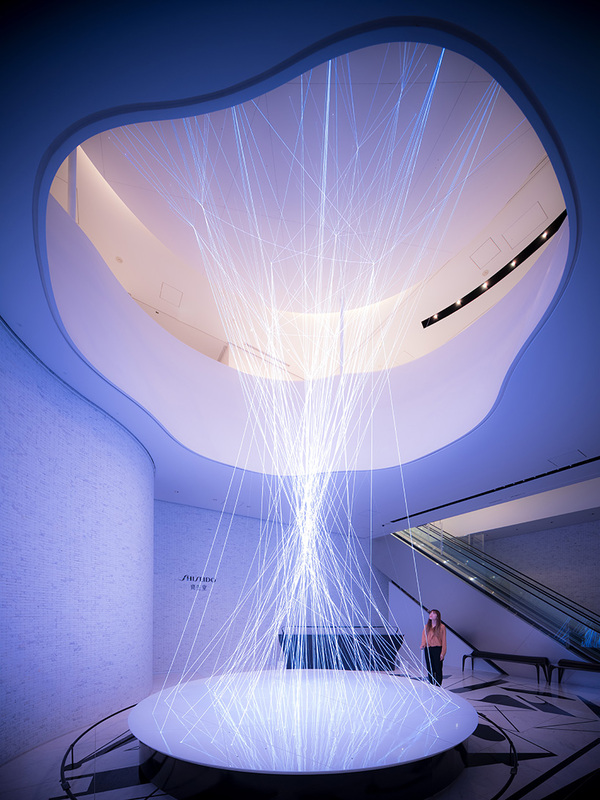 measuring about 9 meters in height, the work pierces through the atrium of the ‘shiseido’ ginza building from the first to the second floor and creates an unprecedented display of light with the use of new advanced fibers. WOW inc. attached 150 fibers with a .9 millimeter diameter to a laser module. 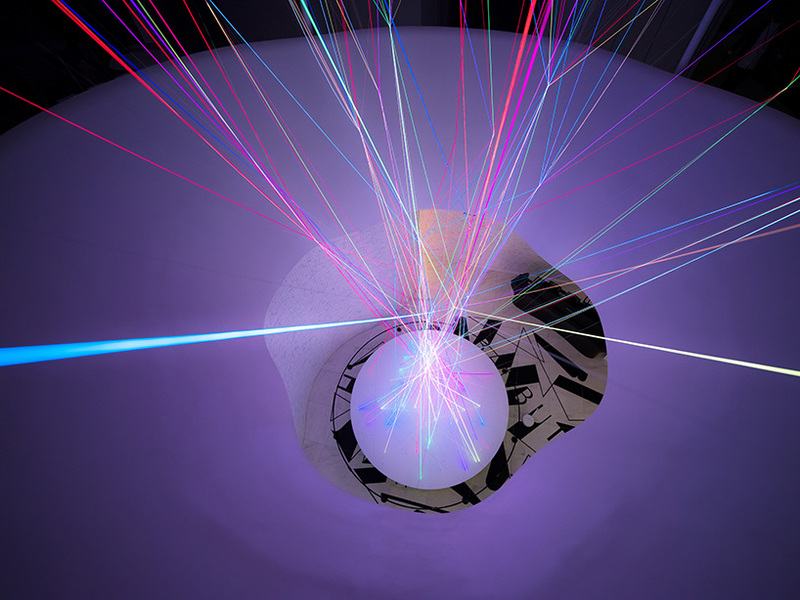 the laser module transmits light through the fibers, which can be controlled by touch. 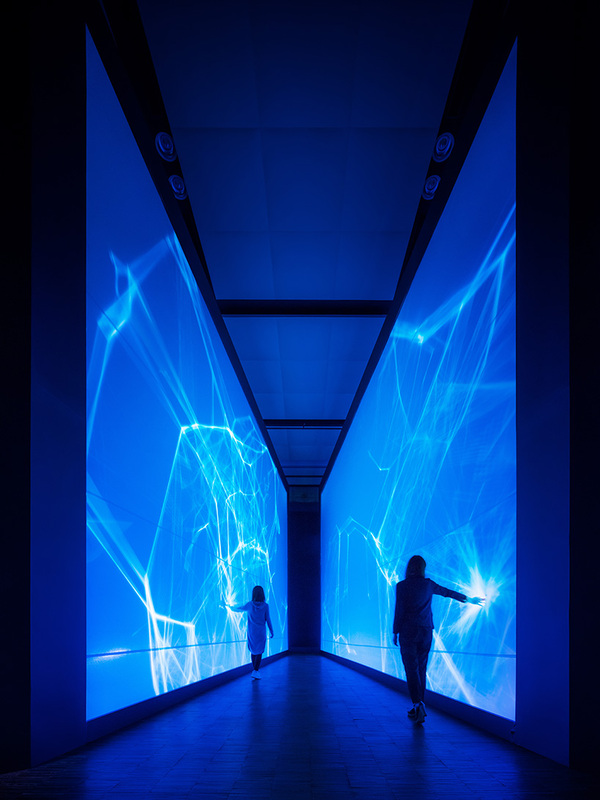 the interactive work visualizes the complex transmission of sensory nerves and information into a dynamic light show. 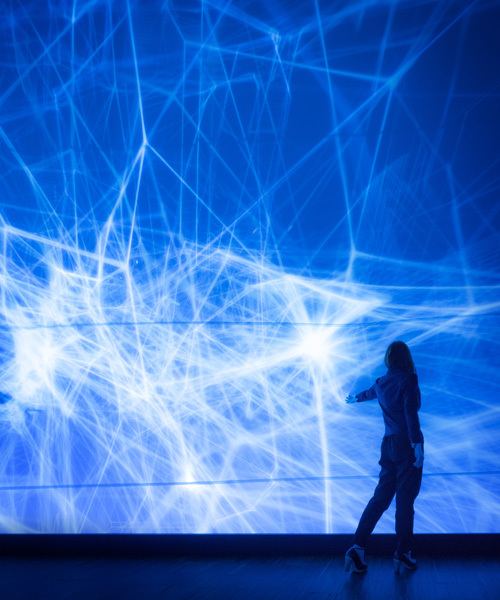 at the second installation, ‘interactive wall’, visitors can feel how neuron cells are activated by touching the wall made by stretchable fabric. the last installation, ‘product room’, is a quiet space with dim lighting filled with product samples. the design of the product, including the form and texture of the bottle surface, is inspired by chaki, the concept behind a japanese tea ceremony in which people enjoy the craft of tea. ‘we wanted people to enjoy and appreciate the product, form, texture, scent, etc. 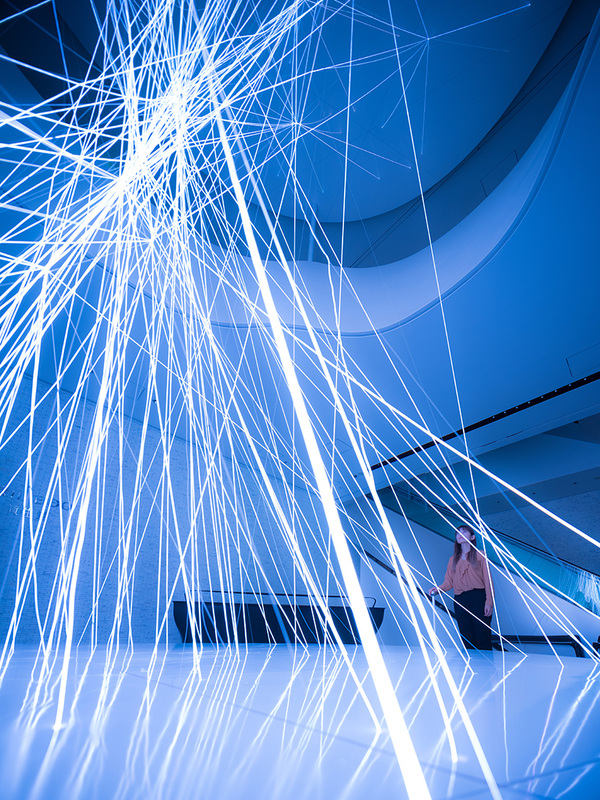 by amplifying their senses through these installations‘, explains the design team. to realize the creative vision, WOW inc collaborated with shiseido’s team 101, an in-house agency dedicated to the brand’s global creative endeavors. established in the 101st year of shiseido’s advertising & design department, the team is made up of a wide range of creatives from around the world — each an expert in their chosen field.